It was written by a great kabbalist and miracle worker, Rabbi Shimon Lavi (end 15th century). The meaning of the words describe the elevation that rabbi Shimon brought to the Shechina with the Torah secrets that he revealed. It also refers to God’s command “Let’s make a man” and say that this command was made for Rabbi Shimon. 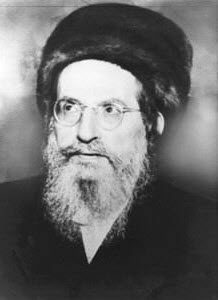 The sages explain that Rabbi Shimon reached the highest spiritual level any human can achieve and therefore when God said “Let’s make a man”, he was using him as a model. That means that Rabbi Shimon was like Adam before the sin. Rabbi Yehoshua of Kutna of blessed memory said that the custom in Israel to burn pieces of clothing on Lag B’Omer is because Rabbi Shimon was pure as Adam in the Garden of Eden without clothing. That is why he was in the cave without any physical garments. ועד עכשיו, ואלמלי יותם בין עוזיהו עמנו – מיום שנברא העולם ועד סופו”. Rabbi Shimon said that he could remove judgments from the world during his life. With his son, Rabbi Elazar, he can remove judgment from the world from the moment of creation until his time. He ends with: if Yotam ben Uziahu was with them then he could remove all judgments from the world from the day of Creation until its end. Yotam was a king who passed away without a sin, hundreds of years before Rabbi Shimon. The secret that rabbi Shimon reveals with his words is that when we connect to great souls we have the power to remove judgments from the world and our lives. That means having easier or cancellation of the Tikkun process. 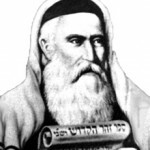 The Zohar connects us to the souls of Rabbi Shimon, his son, and the other eight students. In the Zohar we have also the connection to Moses, Elijah the Prophet and other righteous souls from the Garden of Eden that visited Rabbi Shimon. When we use the Zohar with purity and proper meditation we can cleanse all of our impurities and corrections, including those from previous lives.